Did you have a bunch of extra hard boiled eggs sitting around after Easter? 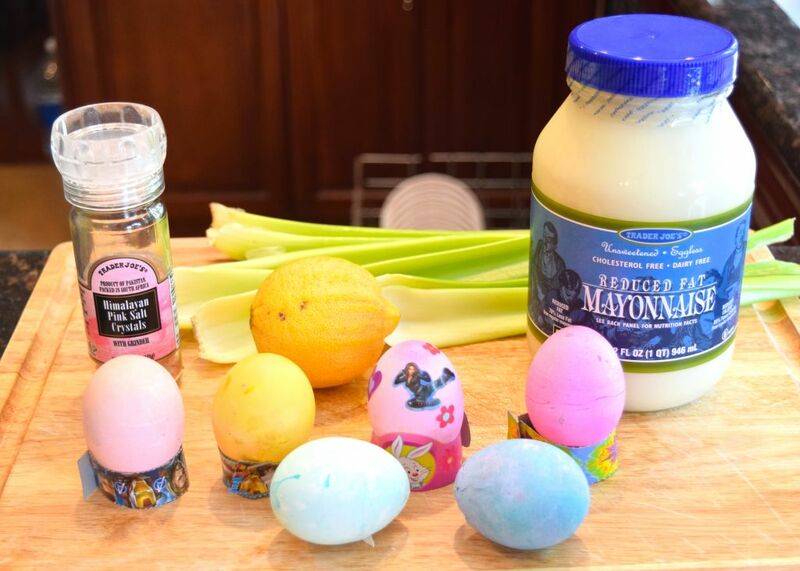 We did, so I decided to turn them into a healthy egg salad. I used pink himalayan salt for this recipe, and want to tell you about how good it is for you! Most people have been taught that salt is bad and should be avoided. That is true for table salt, and even white sea salt…but not true of pure sea salt or pink himalayan salt. Your body actually needs a moderate amount of salt in its natural form. This is partly because salt in its natural form contains minerals that are essential for basic bodily function. I’ve read in multiple places that pink himalayan salt actually has more iodine than iodized table salt, but the manufacturers of unadulterated sea salt have to write a warning that iodine has not been added. It’s pretty tricky! If you want to know more about the difference between table salt and healthy salt, check out this article. In case you don’t have time to read that article, I will tell you here that white sea salt has also been depleted of minerals, so it’s not really any better for you than the table stuff. Look for pink or grey salt. 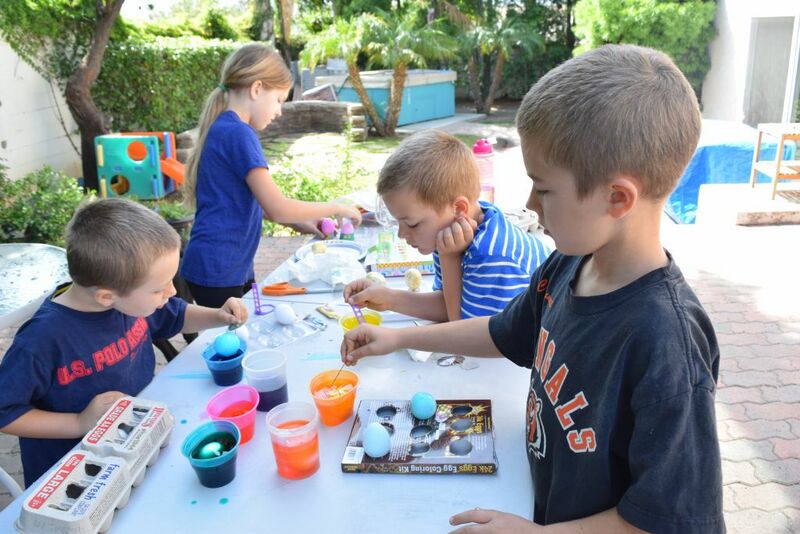 My egg decorators, hard at work. Wasn’t it a beautiful day? I’m so thankful! If you have high blood pressure or another health problem that requires you to eat less salt, make sure to discuss it with your doctor before adding the healthy salts back into your diet. If your doctor doesn’t know anything about it, seek professional help elsewhere, because depleting yourself of salt may actually be making your health worse. Dr. Ralph Umbriaco is a great resource, and he does his appointments over the telephone…I’ll let him explain how that works. You can reach him at (949) 439-7863. I worked with him 10 years ago to get rid of my allergies and chronic bladder and sinus infections. I’m working with him again now to deal with a couple of new allergies that have cropped up. It’s pretty amazing what kind of health care is possible when you think outside the Western medical box. Dr. Ralph has told me that I need to eat more of the healthy salts, and has suggested adding a pinch of them to my water. People who are under a lot of stress tend to need more salt. I’m trying to find areas to remove stress, but also giving my body the nutrients and building blocks it needs to be healthy. Physical health has a lot to do with both food and emotions (and exercise, and spiritual health, etc…there are a lot of factors)! For an explanation of why healthy salt can help someone who is experiencing adrenal fatigue, check out this article. Most of the ingredients in this egg salad have tons of health benefits, but I want to focus our discussion on chives for now. Chives are used in Chinese medicine to help treat diabetes. I’ve read that they can both lower blood sugar and help repair your pancreas. They also help fight and prevent cancer, just like other allium vegetables (onions and garlic). I used chives from my garden…fresh picked veggies have the most nutrients! 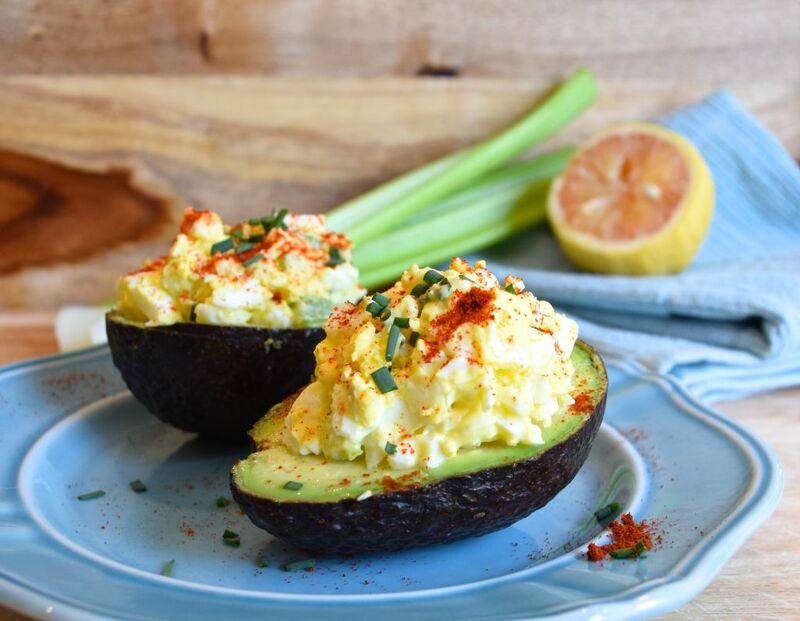 Egg salad on top of avocado is a GREAT lunch for diabetics! Talk about low carb! I actually have to eat some carbs, or my sugars become too low, so I would probably add some fruit to this lunch. If you want more ideas on how to change your diet to beat diabetes, check out my favorite book on it: The End of Diabetes: The Eat to Live Plan to Prevent and Reverse Diabetes . Dr. Fuhrman writes from a vegan perspective, and I am not a vegan, but learned a lot from him. Before we get to the recipe for the egg salad, I want to invite you to join with others who are making healthy changes. I’d love to walk alongside you in your journey towards wholeness and health! Jesus said, “I have come that they may have life, and have it to the full!” Freedom from food addictions is part of having a truly full life. This Easter week we celebrate the sacrifice Christ made for us, and his victory over death. For my family, Easter eggs represent new life and eternal life in heaven with our loving Maker! This recipe for egg salad is simple, delicious, and healthy. Serve it on avocado halves for a very low carb lunch or dinner. Gluten and dairy free. Simply peel the eggs, combine them with the remaining ingredients in a medium bowl, then mash them all together with a pastry cutter. I served mine on avocado halves. 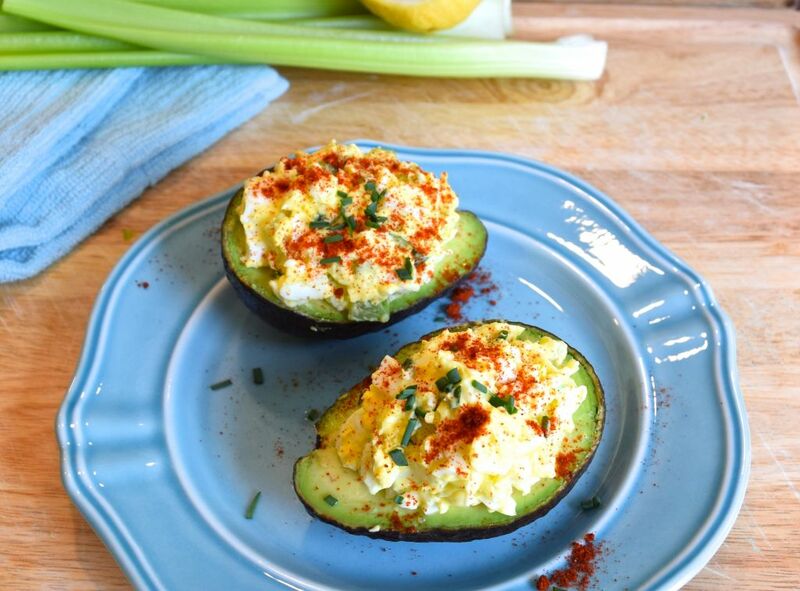 Squeeze a little lemon and sprinkle some pink salt on the avocado, then top it with a generous scoop of egg salad. Sprinkle extra chives and smoked paprika on top. Enjoy! 2 Responses to "Egg Salad"